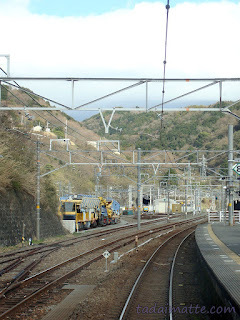 One of the biggest shockers both when I arrived in Japan and when I left it was the efficient train system. I was thrilled to get to ride on a real aboveground train (no, the stretch of TTC between Toronto's Summerhill and Eglinton Stations does not count) and blown away by how fast, spacious, affordable, comfortable they were. Yes, they need all that space because the trains get crammed - we've all heard about the white-gloved men who pack the Tokyo subways at rush hour. We had them in Osaka, too, on the Midosuji line. Of course, that means that when it's not rush hour, it's pretty easy to be comfortable, even for a long ride. One of the unfortunate things I did find was that you had to pay your fare depending on your destination, as opposed to the flat rate we tend to see here in Canada. That did mean that I could hop one station over to the mall for 150 yen, but when I left the prefecture to head to Kobe or Takarazuka or Shiga, I'd be paying 1,000 yen or more. 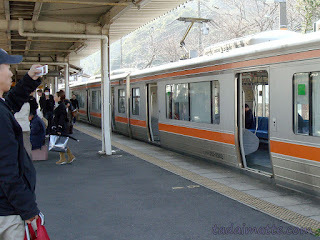 It was tough, especially in Kansai, to find an affordable day pass, except on the subway on "No My Car Day" Fridays. 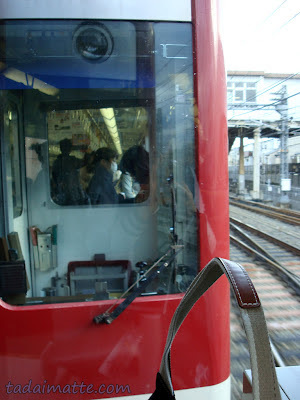 (600 yen for unlimited subway travel within the city.) A few times a year, though, Japan Railways offered the "Seishun 18" (Youth 18) ticket, that for a bit over 10,000 yen ($120-ish), you could get five days - not necessarily consecutive - of unlimited JR train travel. I bought one or two of these a year at minimum, since they could be shared, and used them to visit parts of Kansai and Kanto that I might not have found the money to visit otherwise. 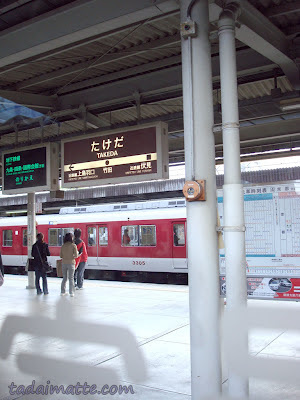 You're restricted to certain types of trains (you cannot take super-express trains on the Seishun 18), and that makes it tougher to go really far, but I went to and from Tokyo on several occasions. For an idea of just how many stations a local train will hit between Osaka and Tokyo, check out this link. It'd cost you a lot more on a normal ticket! 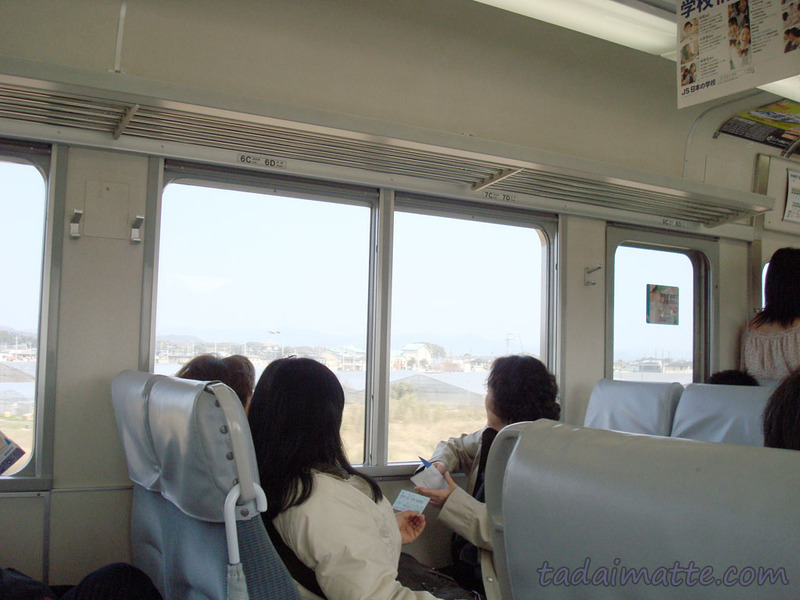 Not bad for $20 a day - why spend $130 on the shinkansen? Oh right, because it was a 10-hour ride by local train...ah well, the scenery is beautiful. This shot is from the Kintetsu line, which can't be used on the Seishun 18 ticket. JR only! Takeda Station on the Kintetsu Kyoto Line. 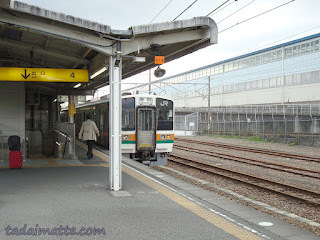 If you want to pass through a non-JR line or station, you'll have to pay extra.